DevOps interview questions and answers prepared by the top recruiter team from MNCs, These interview questions will be helpful for you to crack the interview easily. This set of 100 DevOps interview questions and answers is framed by an experienced DevOps engineer especially for the candidates to get placed in high-level companies. 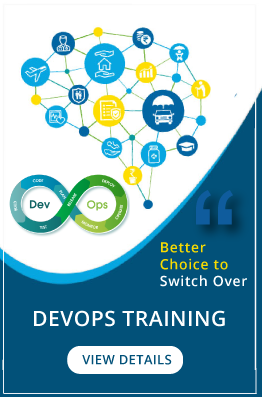 This DevOps interview questions and answers suits for both beginners and experienced candidates, Once successfully completing the professional level DevOps Certification Course in Credo Systemz you will be 100% ready to attend the interviews. You can also get the updates about the latest DevOps Job Opportunities. 1. What is DevOps?It is a newly emerging term in the IT field, which is nothing but a practice that emphasizes..
21.What is Kubernetes? Explain It is a massively scalable tool for managing containers, made by Google..
41.What are playbooks in Ansible? Playbooks are Ansible’s configuration, deployment, and orchestration language..
11. What Are The Advantages Of DevOps?Technical benefits: Continuous software delivery..
31. Whether your video card can run Unity how would you know? When you use command ..
71. What Are The Benefits Of The NoSQL?The non-relational and schema-less data model..